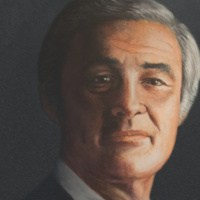 This documentary film chronicles the life story of Pacific alumnus George Moscone `53, the late California State Senator and Mayor of San Francisco. The film was produced by University of the Pacific Professor of Communication Teresa Bergman with research and production assistance by Pacific undergraduate and graduate students. It was directed by Nat Katzman and narrated by Peter Coyote. The film is also available to watch simply by downloading the free PBS Video app on your smart TV, tablet or phone. You can also go to pbs.org/video. Once on the app or online, search for MOSCONE and enjoy!